This is the first instalment of our department-focused blog series. In each blogpost, we analyse how employee advocacy through social media benefits a specific area of a company. There is no way around it: the purchasing process has fundamentally changed over the last few years. Being offline is not much of an option for brands anymore. Studies show that 95% of Millennials expect brands to be present on Facebook. But it’s not only them: 87% of 30- to 44-year-olds – the so-called Gen X’ers – and 70% of 45- to 60-year-olds agree that all brands should have at least a Facebook page. In this landscape, brands who enter the online conversation are presented with an incredible opportunity: an immense, unlimited sea of possibilities where they can find plenty of people, insights and relationships to fill their pipeline. When employees share company’s news with all their connections, brands reach a much broader audience than what they’d otherwise do. 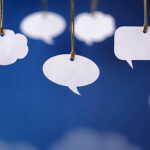 Not all employees’ personal connections will be interested in the same piece of content in the same way, that’s for sure. However, simply by sharing company’s content on social media, employees increase awareness about their company. As a result, the brand finds itself on the radar of new prospects that would otherwise have taken much longer to discover a specific service or investigate the company’s culture. In a nutshell, social selling can be defined as the use of social media by sales to find a direct channel of interaction with their prospects. The attention is shifted from ‘pushing the sale’ to ‘building relationship’, turning occasional customers into loyal ones. By interacting with prospects or acquired customers on social media, a sales team can add new value to an old conversation. The prospect-salesperson relationship becomes much smoother, including helpful content and assistance on top of numeric talks and negotiations. Employee advocacy platforms empower business developers to take ownership of this innovative kind of customer communication. They receive input and insight from other members of their team as well as from colleagues working in different departments. This process enables them to quickly gather the kind of information they need to face the exciting challenge of social selling. 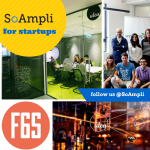 When active on an employee advocacy platform like SoAmpli, sales teams gain direct access to a pool of interesting and relevant content they can easily share with all their connections. We are not talking only about company-generated posts or offers; even external industry-focused content has a direct positive impact on an individual’s reputation and credibility as expert and influencer. Through their online presence, sales people can also research information to prepare for sales conversations much more efficiently, while building a strong network of online connections. 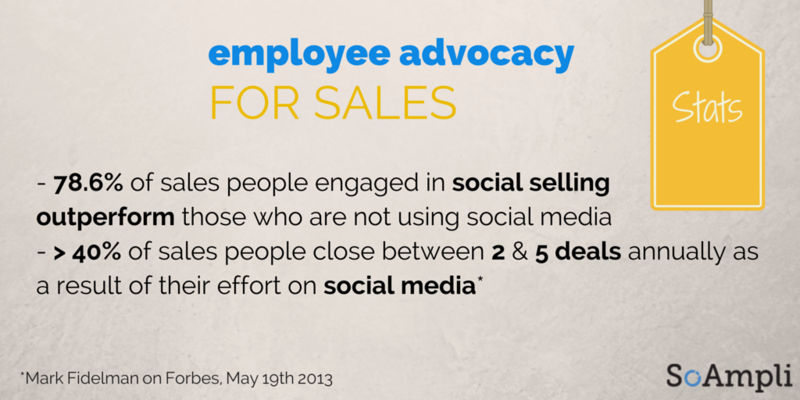 What are the benefits of employee advocacy through social media for Marketing? Stay tuned for the next chapter of our department-focused blog series.